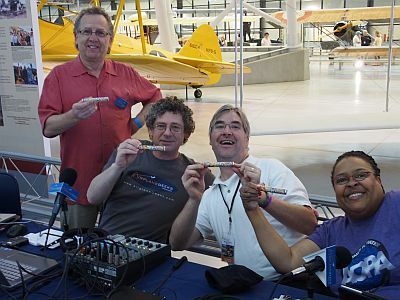 Rob, Max, David, and Benet attend the eighth annual Become a Pilot Day at the Smithsonian National Air and Space Museum, Steven F. Udvar-Hazy Center, located in Chantilly, Virginia, next to Washington Dulles International Airport. 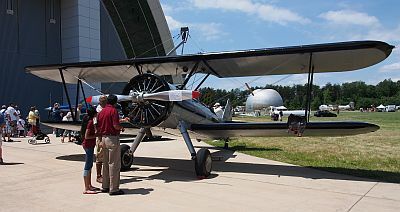 Besides looking at all the great aircraft, spacecraft, and other exhibits inside the Center, event visitors could view some 50 visiting vintage, recreational, military, and homebuilt aircraft on display outside the Center and talk to the pilots. 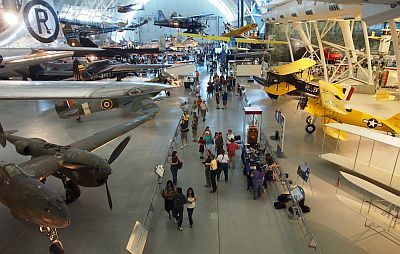 Back inside the Center, visitors could test their piloting skills in flight simulators, talk to aviation experts, and enjoy story time and hands-on activities with the kids. Amelia Earhart tells us about some of her adventures and also comments on a certain recent movie. 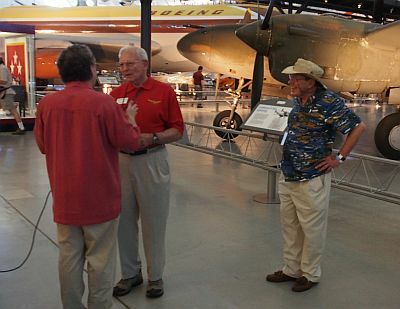 Ed Mautnur, Museum Specialist, Aeronautics talks about preservation and restoration of airplanes. 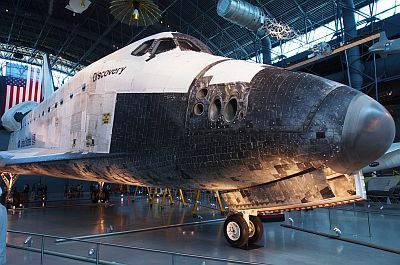 Learn more by visiting the web page for the Paul E. Garber Preservation, Restoration, and Storage Facility, where the National Air and Space Museum preserves and restores aircraft and other artifacts. Tim Bell, an Airplane Geeks listener from Melbourne, Australia was in the States and came by for the event. Follow him on Twitter as @timb07. Linda Shiner, Editor, Air and Space Magazine, has been the Editor for 25 years and tells us who reads the magazine, how she came to become Editor, and how her ride in biplane influenced her interest in aviation. The August Space Special will be all about Mars, and comes out as the Curiosity rover lands on that world. Also, the Military Aviation Collector’s Edition on is sale now. Follow the magazine on Twitter as @airspacemag. 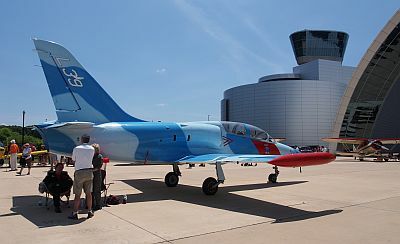 The Princess of Planes, the youngest Airplane Geek, tells us about her day at the event. Marcy Heacker, Program Specialist, Smithsonian Natural History Museum, Feather Identification Lab talks about the economic and safety impact of bird strikes, why bird species identification is important and how it’s done, and the “deer strike” at 1500 AGL. 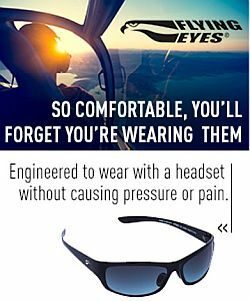 Learn more at Bird Strike Committee USA. Benet Wilson interviews the Geek’s wives and learns what the guys are really like to live with. Benet Wilson volunteers to try the Wright Model B flight simulator, with somewhat disappointing results. Twice. David interviews USMC Captain Jason Nollette, CH-46, VH-3, VH-6 pilot. Rob and David walk around Orbital Vehicle 103, Discovery. Special thanks to Vicki Portway, Isabel Lara, and Frank McNally! Post photos by Tim Bell. This entry was posted in Episodes on June 19, 2012 by maxflight. Great to meet you guys in person! Too bad Dan bailed out too soon to participate! How excellent was Amelia Earhart? She sounded very well preserved!